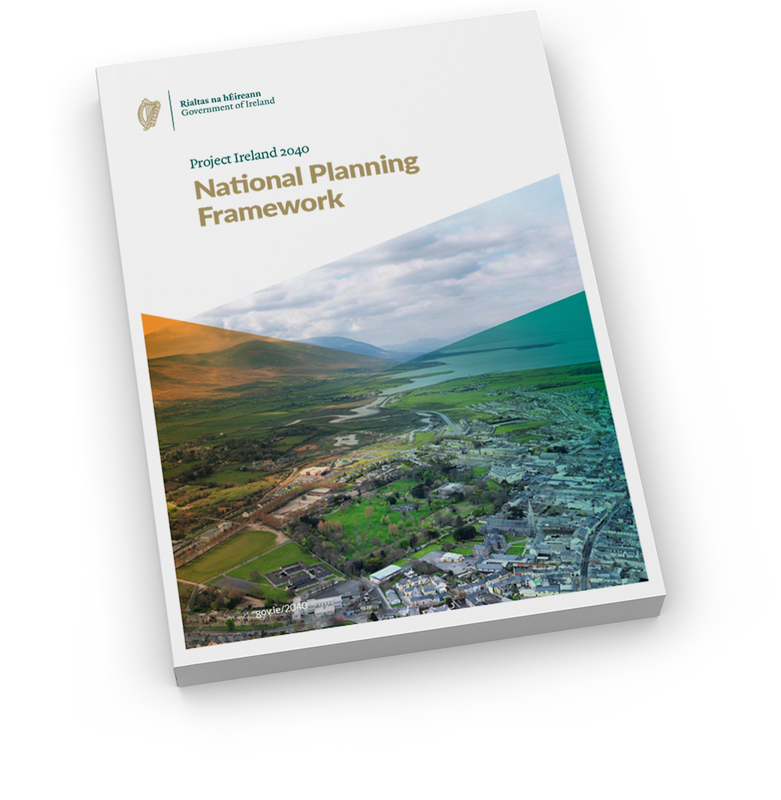 The Department of Housing Planning and Local Government, on behalf of the Government, has prepared and published the finalised National Planning Framework under Project Ireland 2040, the overarching policy and planning framework for the social, economic and cultural development of our country. 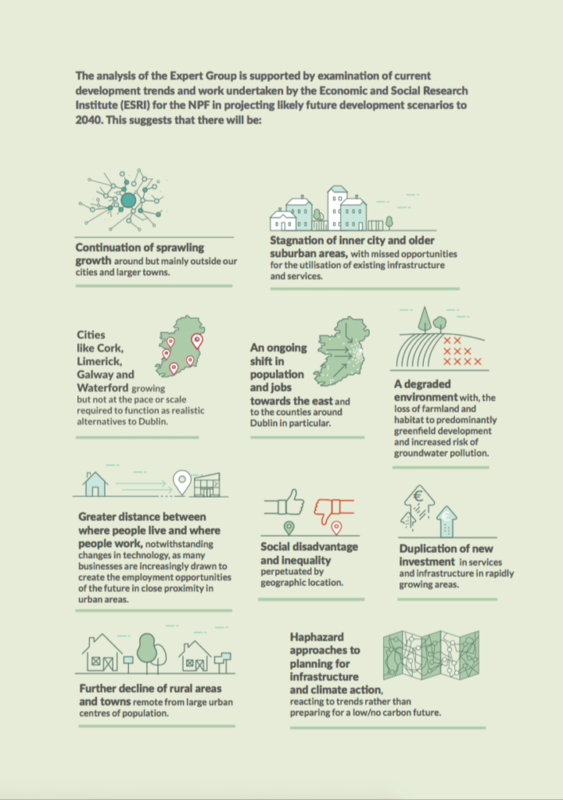 Further information on Project Ireland 2040 can be found at www.gov.ie/2040. 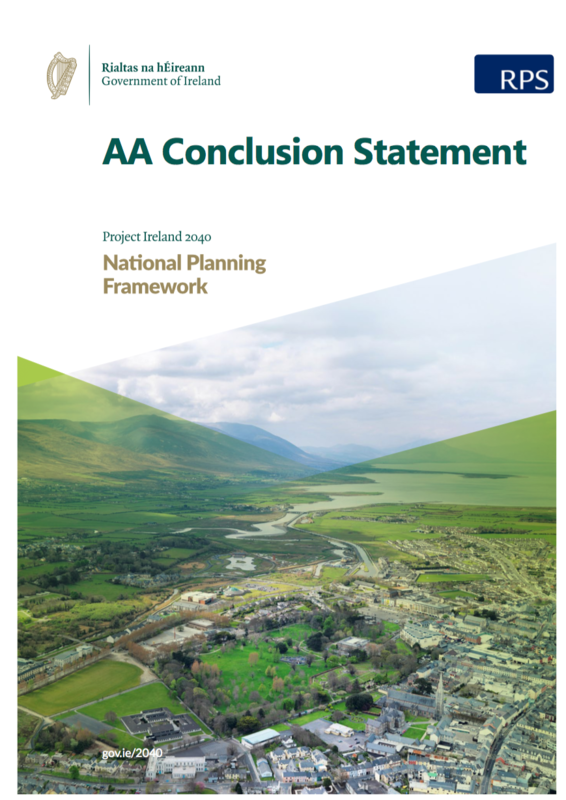 The National Planning Framework has been published following two formal phases of public consultation, over 40 regional events and workshops, four engagements with various Oireachtas Joint Committees, feedback from an expert Advisory Group and detailed submissions from a range of stakeholders. 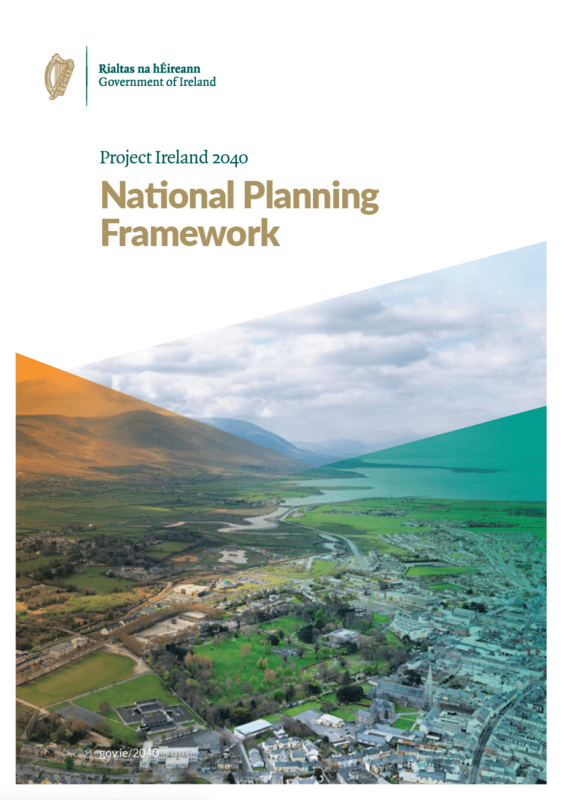 The National Planning Framework is now available, together with supporting information here. 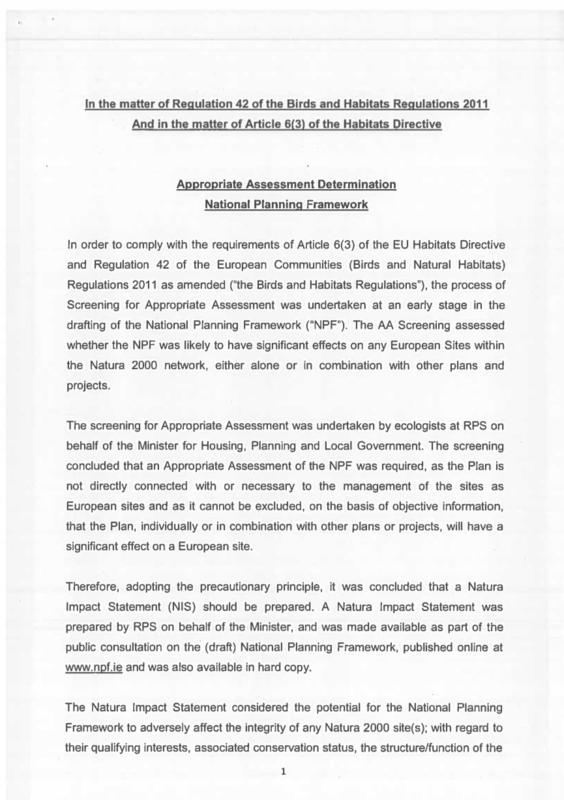 What is the National Planning Framework? It is a national document that will guide at a high-level strategic planning and development for the country over the next 20+ years, so that as the population grows, that growth is sustainable (in economic, social and environmental terms). 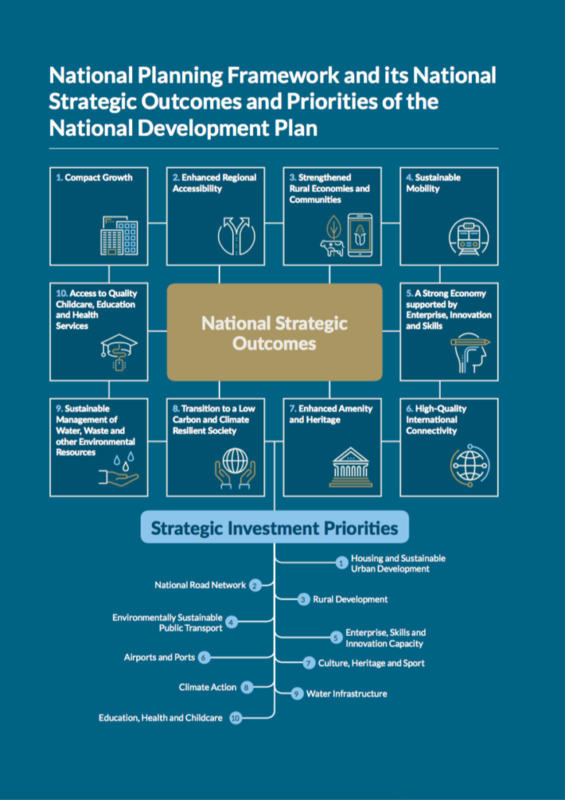 Finalisation of the NPF alongside the ten-year National Development Plan will put together one plan to guide strategic development and infrastructure investment at national level. 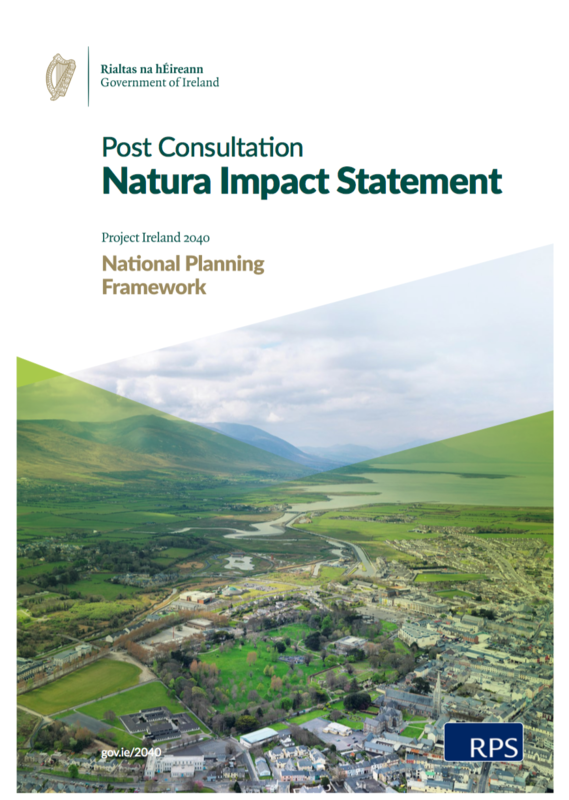 The NPF with the National Development Plan will also set the context for each of Ireland’s three regional assemblies to develop their Regional Spatial and Economic Strategies taking account of and co-ordinating local authority County and City Development Plans in a manner that will ensure national, regional and local plans align. All submissions received as part of the Draft of Ireland 2040 – Our Plan can be viewed at the link below. 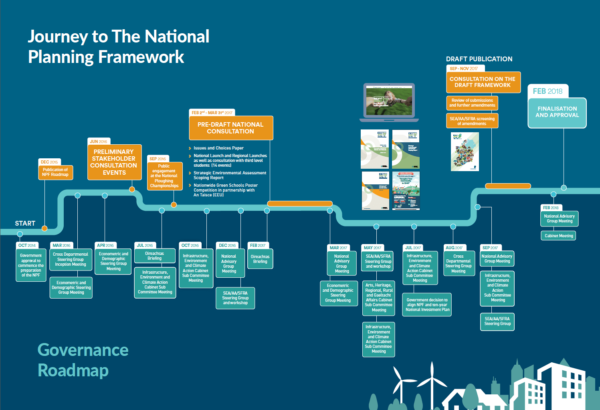 The vision set out under this Framework is based on a set of values that will ensure Ireland’s long term economic, environmental and social progress for all parts of our country. 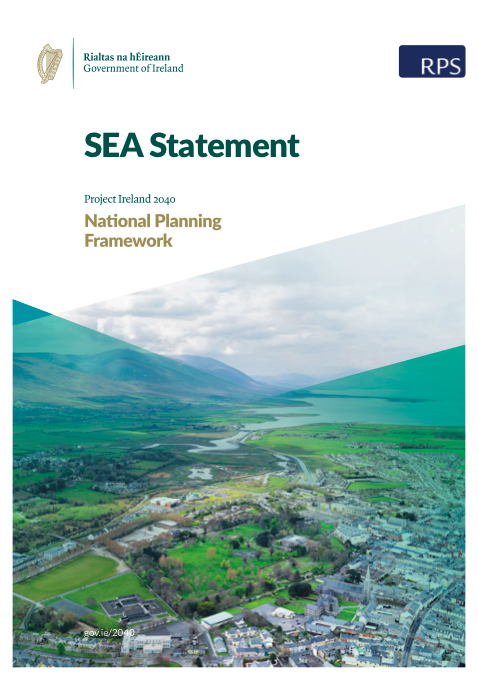 In framing a new way forward, the National Planning Framework draws upon lessons learned from the National Spatial Strategy and highlights a vision of success based on better choices compared to a ‘business as usual’ approach. 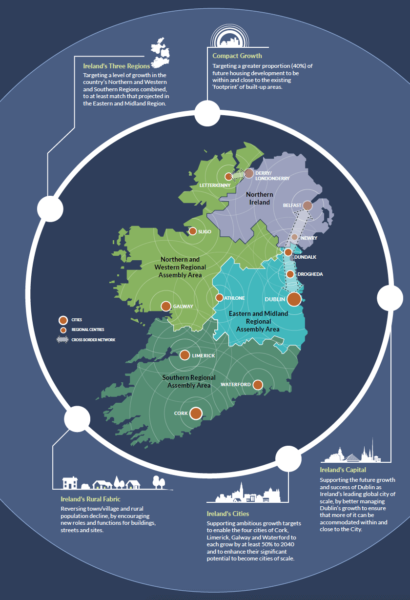 with the remaining 50% of growth to occur in key regional centres, towns, villages and rural areas, to be determined in the forthcoming regional plans – Regional Spatial and Economic Strategies (RSESs).